Intermittent Fasting = Better Fat Loss? 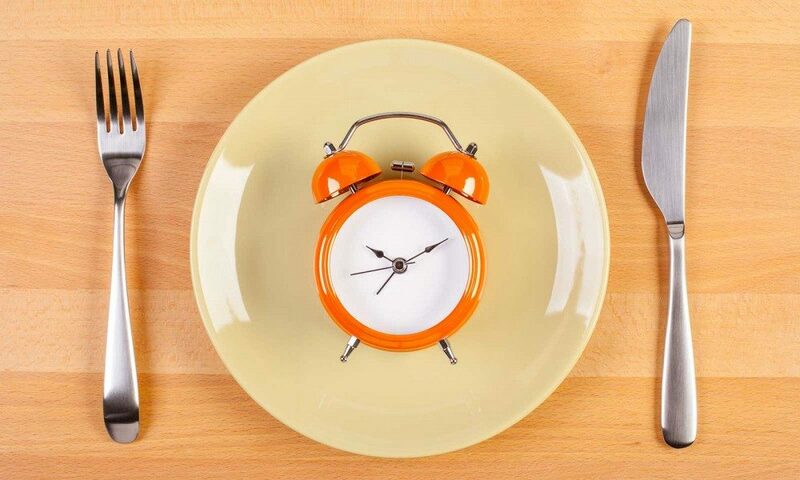 Intermittent fasting (also known as IF) is becoming an increasingly popular nutritional approach among people who are looking to lose weight and fat. I get asked about this approach all the time because a lot of people think (or have been told) that this approach is better for fat loss than other diets because of the fasting element. So I wanted to give you the facts so you can decide whether this method is for you, based on the current evidence. Many people think that this approach is much more complex than what it actually is. Intermittent fasting is essentially an eating pattern where you cycle between periods of eating and fasting. It is (like all other diets) a method of calorie restriction, with the only real difference between IF and “normal” caloric restriction being that the fasting periods are longer in duration and further apart from each other. If you think about it, we actually all do some form of IF every single day when we sleep! Just like flexible dieting, there are no restrictions on the type of foods you must eat, just the period of time in which you can eat. You can also do flexible dieting and intermittent fasting in conjunction with each other. Alternate day fasting (ADF): this involves a 24 hour fasting or very low calorie (~25% of daily energy requirements) period, alternated with a 24 hour eating period. Whole day fasting (WDF): this usually involves 1-2 days of fasting or very low calorie (~25% of daily energy requirements) periods per week, with the remaining days of the week eating at maintenance (which is essentially what the 5:2 diet is). Time-restricted feeding (TRF), which involves a fasting period of 16–20 hours and an eating period of 4–8 hours daily. The most popular approach is the 16:8 (16 hour fasting period, 8 hour eating period). IF and normal calorie restriction result in identical weight and fat loss when calorie and protein intakes are the same. IF and normal calorie restriction result in no significant difference in muscle loss, when calorie and protein intakes are the same. Under normal circumstances, no serious muscle loss can occur until you’ve fasted for 12 to 16+ hours. IF does not result in better muscle growth than a normal calorie restricted diet. In most studies, the reduction in metabolic rate is similar with IF and with normal caloric restriction, when total calorie intake was the same and when measured on feeding days. Studies that compared IF to normal calorie restriction reported variable results with regards to improvements in insulin sensitivity when total calorie intake was the same. Both IF and normal calorie restriction result in comparable reductions in leptin, free androgen index, high sensitivity C-reactive protein (inflammatory marker), total and LDL cholesterol, triglycerides and blood pressure. So what’s the bottom line? IF provides similar benefits to normal calorie restriction when it comes to weight loss and metabolic effects. For some people, fasting can be harmful to their health depending on their current health status. Keep in mind that IF is not for everyone. People with impaired glycaemic control (diabetics) should avoid fasting, as it causes poorer glucose response. Also, if you’re pregnant, underweight, younger than 18, or have a history of disordered eating, IF is probably not for you. It’s always best to speak to your health practitioner before starting any new health or diet regime. It works. We know that in order to lose weight we must be in a calorie deficit (eating less calories than we are burning). By fasting, you are making it easier to restrict your total caloric intake over the course of the week, which can lead to consistent weight loss. It can improve your compliance. By reducing your eating period each day, IF allows you to enjoy bigger meals, which can help you to feel fuller for longer. This alone can help you stick to your diet for longer, which will provide better results. It simplifies your day. Having to prepare, pack, eat, and time your meals every 2-3 hours can be extremely time consuming. By reducing your eating period, you can save A LOT of time as you you only need to worry about preparing and eating 1-3 meals. It can also save you money on your grocery bill! It can remove food obsession. From my experience (both personally and through working with my clients), a lot of people can get hung up over eating 2-3 hours and obsessing over when their next meal will be. Because you are eating less often with IF, it can help you to stop constantly thinking about food. Intermittent fasting isn’t for everyone. Everybody will react to intermittent fasting differently; I can’t tell you how your body will react. It’s up to you to listen to your body. At the end of the day, IF is just one of many different (and effective) approaches, for improving your health, performance, and body composition. As always: Do what works for YOU and remember that the best diet is the one you can stick to. 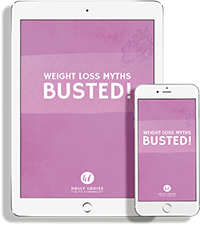 If you would like more information about this approach or you would like to discuss the most suitable dieting method for you – contact me here. Otherwise, if you are ready to start working towards your health and fitness goals NOW, click here to get started with my 8 Week Nutrition Coaching!